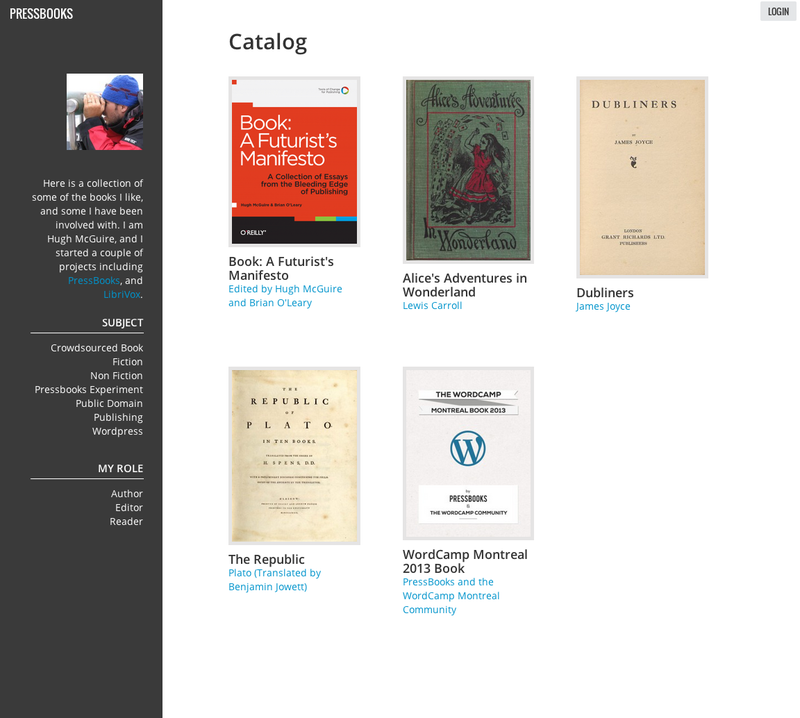 We’ve just launched a new feature, PressBooks Catalog, which allows you to easily display a catalog of your PressBooks books on a single page. Below is an image of a sample catalog, which you can find “live” over on PressBooks, at my catalog page: https://pressbooks.com/catalog/hugh. This is a alpha/beta feature and we’re still improving it. 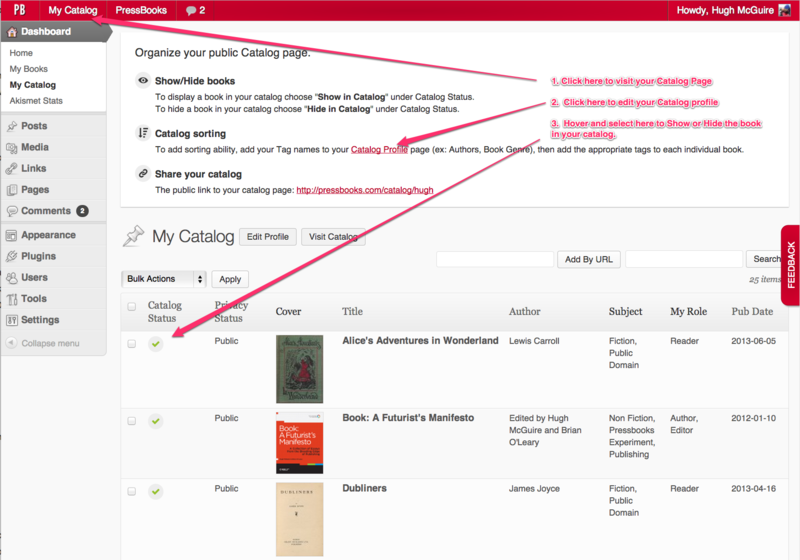 First, make sure any book you want to make available in your catalog have PUBLIC privacy settings (with all chapters you do not want available to the world online marked PRIVATE). 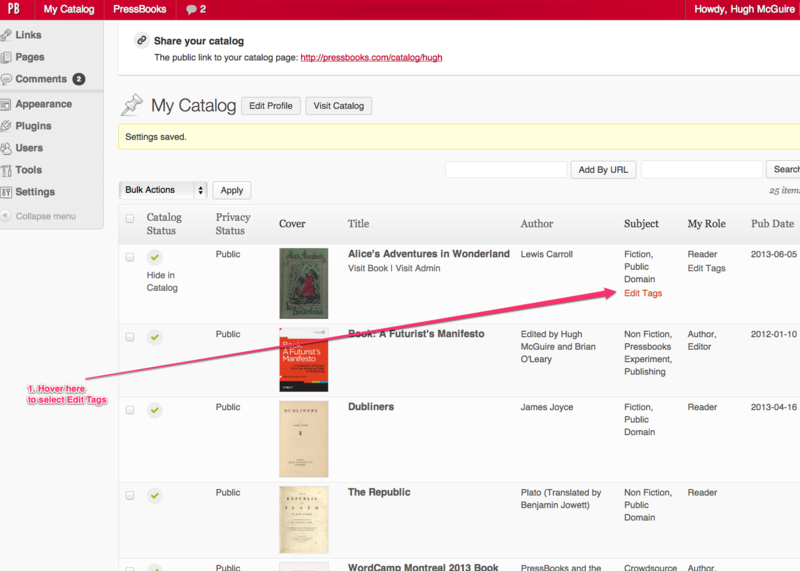 For details, see: New Feature: Privacy Management for Books and Chapters. This text should be your author bio, or publishing house information, or institution information. Use HTML if you want links etc. 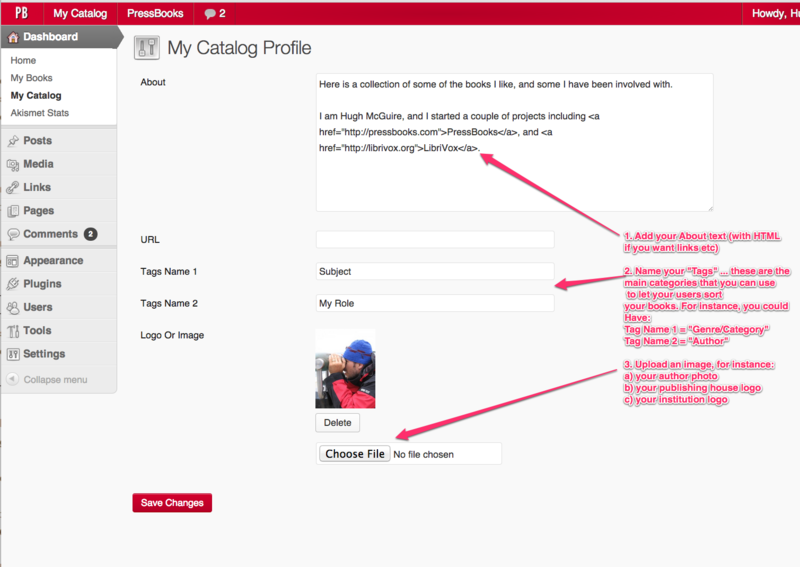 Tags are used to allow visitors to your catalog page to sort your books. 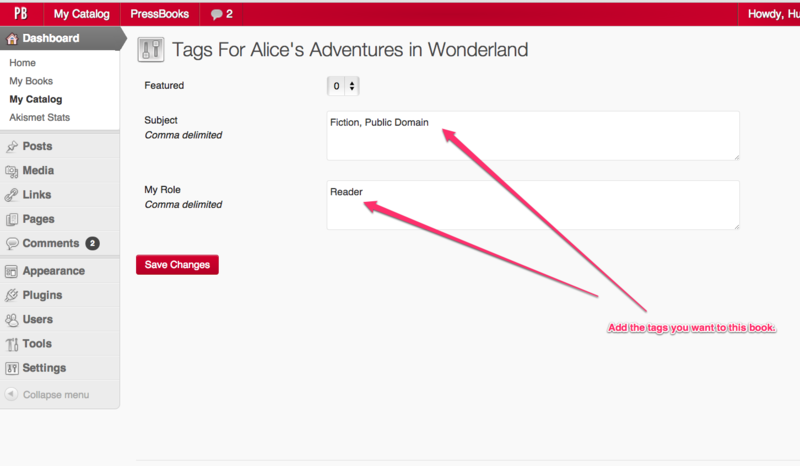 PressBooks allows you to set two levels of tags. When you select Edit Tags on any given book, you enter whatever tags you like for that book. And then add the tags you want on that book. Note: Tagging interface is a bit rough, we’ll be improving it in the coming weeks. Have questions? Ask away, on Twitter, Facebook, our User Forum, or email.